Ice cream in Spain is rarely served as a desert at home. Rather, it is a decadent treat found at sidewalk cafés and in restaurants. Likewise, ice cream stands are common sight around Spain in the summer, especially throughout beach towns. 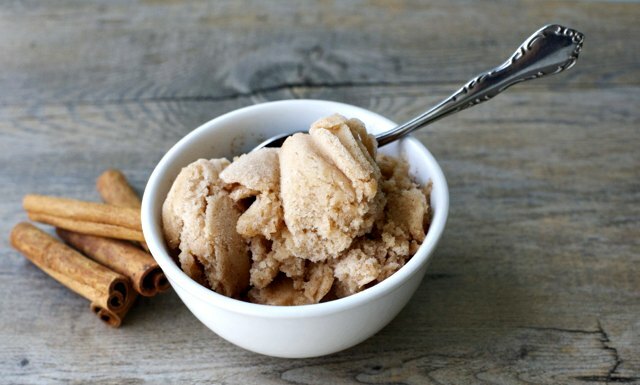 Recreate the feeling of a languorous afternoon at the café with this cinnamon-flavored ice cream. Delicious yet light, it is easy to see why this is a Spanish summertime favorite. In a medium saucepan, heat 2 cups (15 fl. oz) of the milk with the cinnamon stick and lemon rind. Allow to simmer gently, then remove from heat and set aside. In a separate bowl, beat the egg yolks well. Add the remaining milk and sugar, combining thoroughly. Add the egg mixture to the saucepan with the milk, cinnamon stick, and lemon rind. Heat the mixture and allow to simmer, stirring continuously. Make sure that the mixture does not come to a boil. With a slotted spoon, remove and discard the cinnamon stick and lemon rind. Allow to cool then freeze the mixture until it reaches a creamy consistency. Serve in individual dessert glasses and decorate with mint.